One of my maternity essentials! 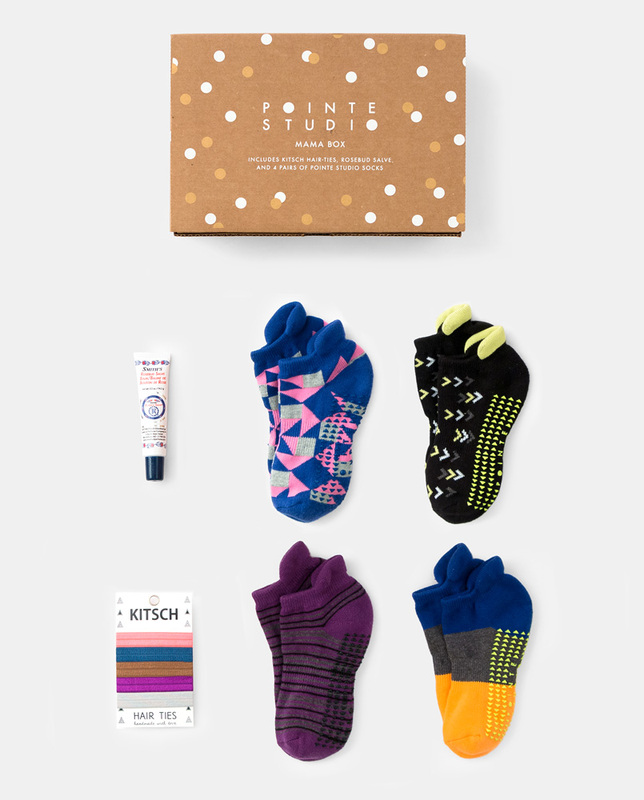 Last year, when I wasn’t even pregnant, my Pilates instructor gave to me as a gift a few pairs of socks from Pointe Studio. 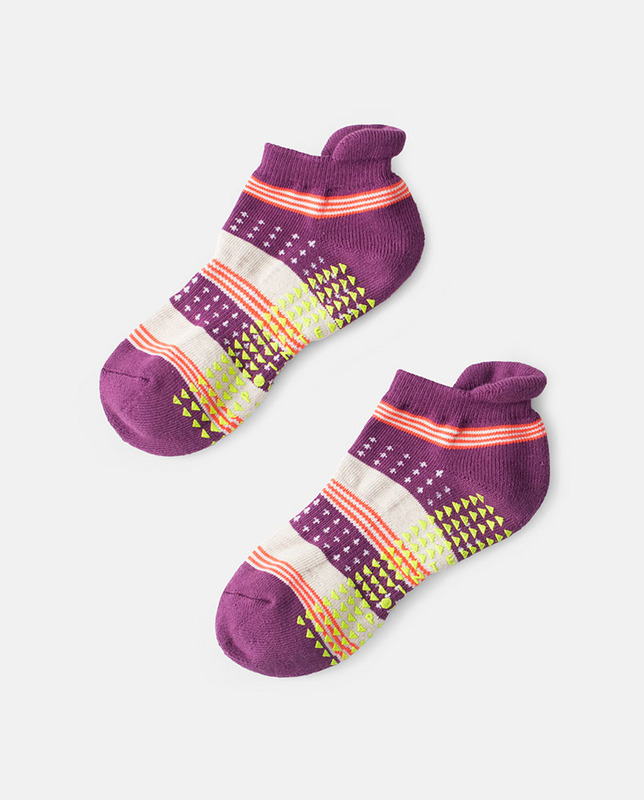 The idea was to wear those socks on my Pilates sessions since the Winter was approaching. 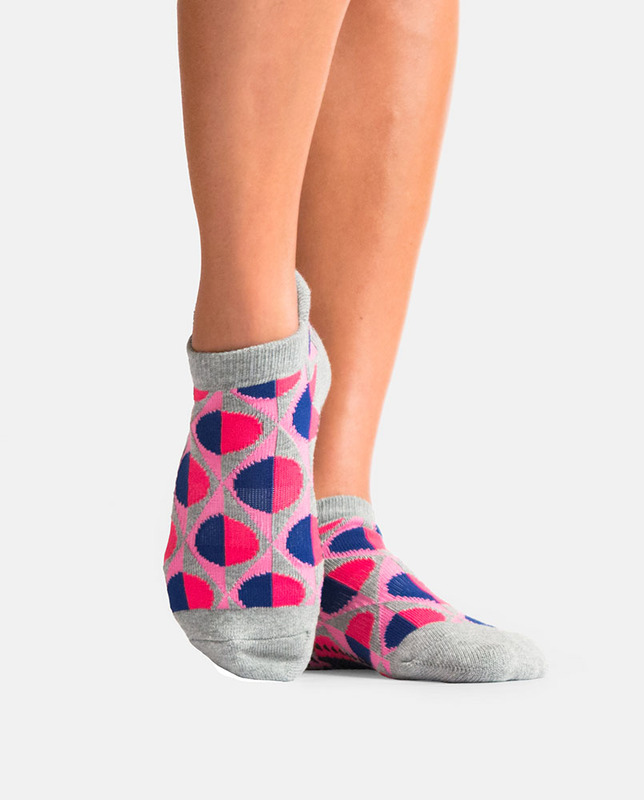 Needless to say, I got addicted to those socks and wear it all the time… To Pilates, of course, but also to sleep, to walk around the house, to the gym, to travel, and everywhere I need socks! With my due date approaching (almost 39 weeks now!!!) I already packed a couple pairs on my overnight bag to the hospital. Everyone keeps telling me to not forget socks, so it was basically the first things I packed, haha, along with other things I think it’s important. We’ll see when time arrives what is most useful… But anyway, I was delighted to find out that the Pointe Studio also makes the Mama Box. 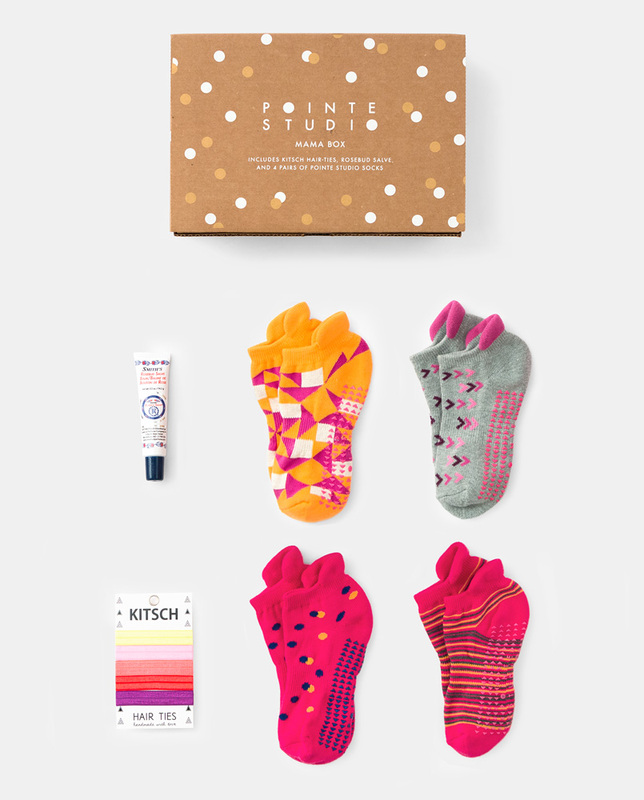 It’s a cute box with a few pair of their grip cute socks, a nice lip balm, and some hair ties. Perfect combo and perfect gift to mamas to be, right?